i) First remove the plastic carrier clip. ii) Then remove the strip from the print head of the cartridge (this protects and stops the print head drying out). ii) If you get an error message "this cartridge cannot be accepted/used..." or similar this can be down to stamping on the cartridge by the manufacturer. Type the whole exact phrase into a search engine, along with your model number of printer ie c20, i865, officejet. There is always a way to use the cartridge even when some printer manufacturers are trying very hard to make you pay twice the price! - see the News Articles to see HP being sued. 3. If the print quality is poor white lines/missing print or poor colour depth. i) This type of cartridge has to be stored in an upright position in a cool environment. This allows the ink to settle down to the print head. If it has been stored on its side, please fit the cartridge and allow upto 6 hours for the ink to settle. ii) If the print quality is still poor after the settling period it maybe that the cartridge contains an air pocket or blocked jet. Air Pockets - Remove the cartridge and wrap in tissue paper and shake several times to disperse the air. note - Do not wipe the electrical printed circuit board. 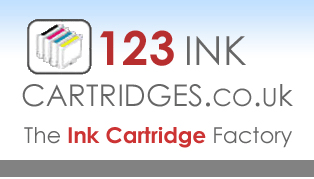 (printheads on these types of cartridges contain many many tiny pin prick jets and a single blocked jet can result in poor print quality, several blocked jets and the print quality is awful. 'Best' or 'Photo Quality' settings (this can purge the cartridge to operate correctly - after a couple of prints return the settings to normal. If still no improvement contact Customer Support. If there was noticeable improvement, rewipe.